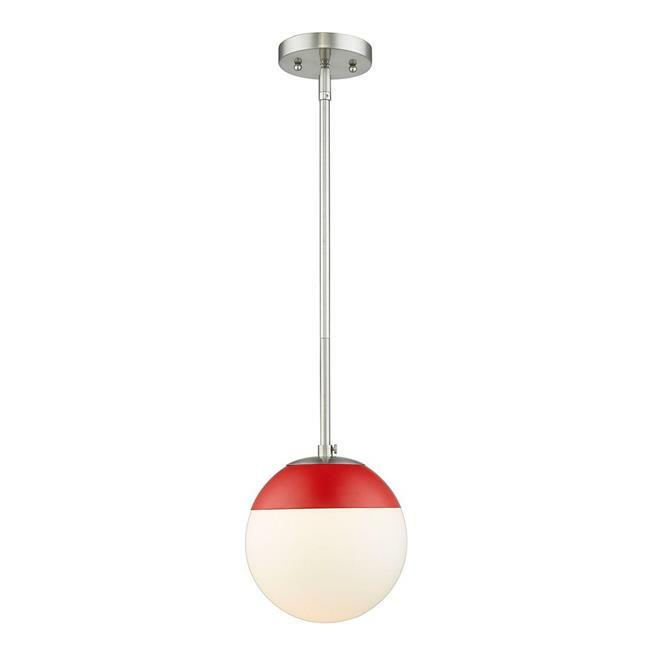 Mid-century modern design with a modern twist, these fashionable orbs are highly customizable. Clear or opal glass with plated chrome, pewter or brass hardware. Caps are in a number of accent colors to further customize your look. Choose colors and finishes that complement your existing dcor or design your entire room around your favorite color combination. This small, rod-hung pendant features a may be hung individually or grouped over a bar.